A coordination center to reconcile the warring parties in Syria has started its work at the Khmeimin airbase near Latakia, Russia's Defense Ministry says. Moscow has also handed over the hotline contact to the US, as required by the joint plan to monitor the truce. 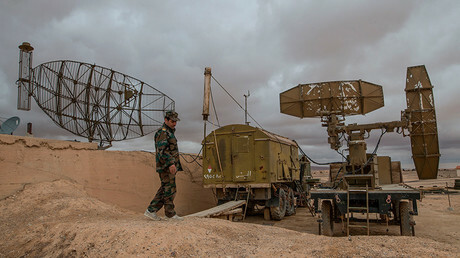 The coordination center created at the airbase Russia has been using for its anti-terror campaign in Syria will monitor the various sides’ compliance with the ceasefire. It also plans to help establish contacts between the Syrian government and the opposition, the Defense Ministry’s spokesman, Major General Igor Konashenkov, said in a statement Tuesday. The center will “render the maximum assistance” to everyone who applies to it, Konashenkov said. This however excludes Islamic State and Al-Nusra militants as well as other terrorist groups designated by the UN Security Council. Opposition groups, who decide to observe a ceasefire and launch peace talks, will be able to apply to the center 24 hours a day via a common telephone number. The center will also assist in delivering humanitarian aid, Konashenkov said. In the meantime, Moscow has handed over contact details to the US military and now awaits reciprocal information from Washington. The hotlines on monitoring the ceasefire in Syria are to be established between the two countries under their agreement from February 22. On Monday, the US and Russia reached an agreement on a Syrian nationwide ceasefire plan and adopted “Terms for a Cessation of Hostilities in Syria” – a document that outlines major aspects of the future truce. According to the plan, the ceasefire is due to begin Thursday at 22:00 GMT, and all the parties should voice their agreement by 10:00 GMT. The truce will be applied to all parties of the Syrian conflict excluding Islamic State, Al-Nusra Front and other terrorist organizations. Moscow and Washington agreed to establish a hotline and work together to contribute to the Syrian peace process. Russian President Vladimir Putin and his US counterpart Barack Obama welcomed the plan. The Syrian government accepted the terms of a ceasefire deal and pledged to coordinate with Russia to decide which groups and areas would be included in the "cessation of hostilities" plan, SANA news agency reported, citing sources in the Syrian Foreign Ministry. Damascus also reportedly stressed that military operations against Islamic State, Al Nusra and other terrorist organizations linked to it, and Al Qaeda should continue. The US has urged the Syrian opposition to support the terms of the ceasefire. “We urge the maximum number of armed opposition factions to express their support and readiness to participate in the cessation. We believe this arrangement is an important opportunity to stop the violence, facilitate the delivery of humanitarian assistance, and help provide the space necessary for the political process to continue,” said John Kirby, the spokesperson for the US State Department, on Tuesday.